This punch was heavenly. It was perfectly tart and tangy, full of tropical flavor and the ginger ale gave it a nice fizz. 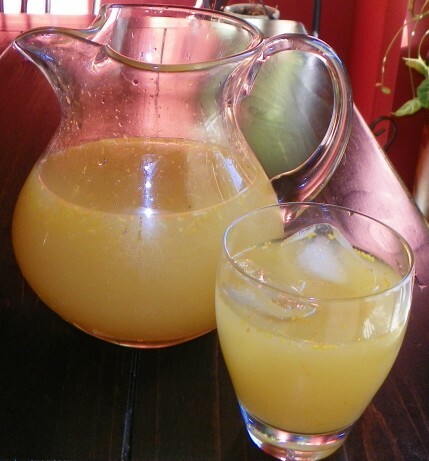 Combine water, juices, and orange zest in a pitcher; chill. Add ice and ginger ale, before serving.